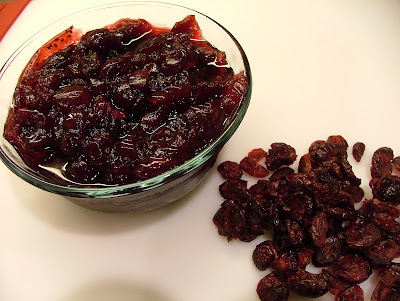 If you host a holiday party such as Thanksgiving or Christmas you’re almost guaranteed to have leftover cranberry sauce. Once all the leftover turkey disappears it ends up being tucked away in a lonely corner in the fridge. In the past I’ve found a home for it in a sweet and sour meatball sauce (use the cranberry sauce instead of the grape jelly) but this year Huey Lewis and The News’ song Hip to Be Square has inspired me to turn this red jelly sauce into these sweet Cranberry-Apple squares. Well that’s not entirely true. I saw the recipe in an LCBO magazine (I’ve taken a stab at making it less fattening in the version below). 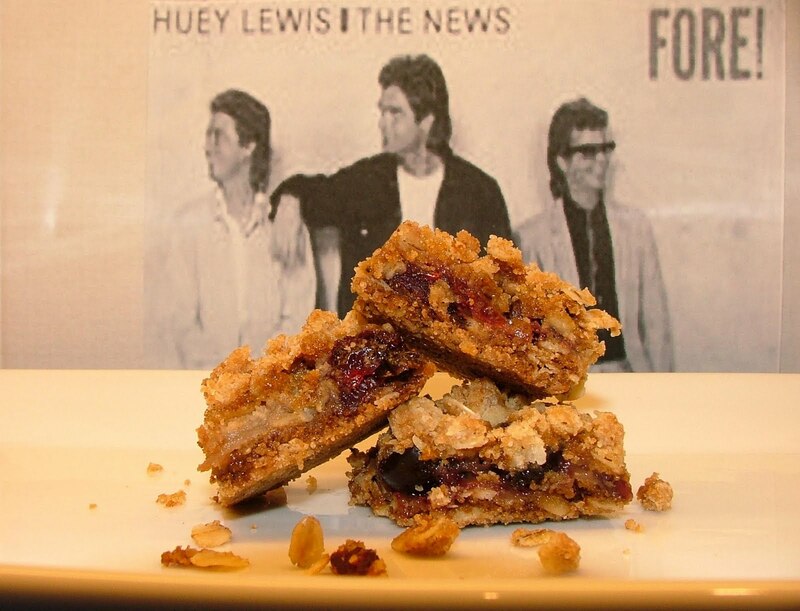 Although if you are a Huey Lewis fan, I suggest you let your hair down, go ‘80s crazy and crank this ultra poppy song while making these tasty squares…or choose one of his much better tunes. Personally I would go with second option. Cook-On! Spray an 8 x 8 baking dish with cooking spray. In a medium bowl mix together apple, cranberry sauce, dried cranberries and lemon juice. In a separate medium bowl combine, flour, both sugars, baking soda, nutmeg and salt. Add butter and mix until well combined and crumbly. Press half the oats mixture in base of baking dish. Evenly distribute fruit mixture on top. Crumble remaining oat mixture over fruit, pressing gently. Bake in a 350ºF oven until crumble is golden brown. Let cool before cutting into squares.